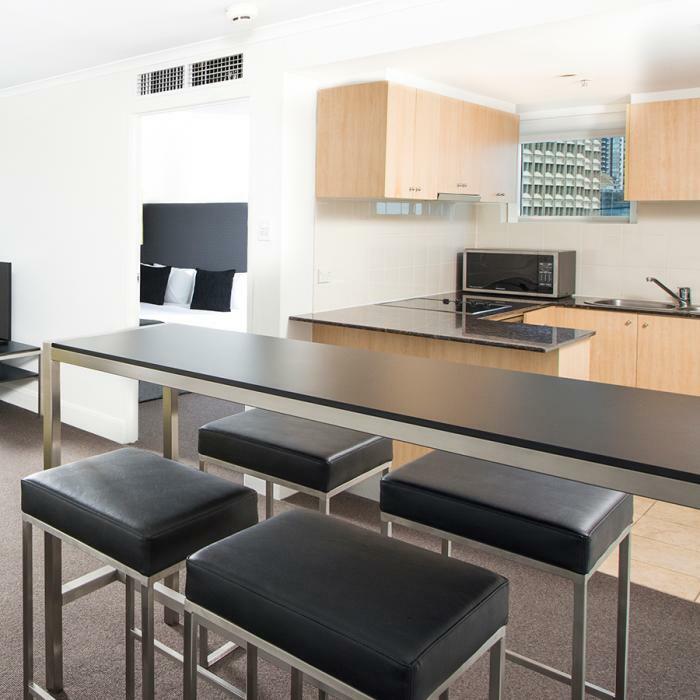 This recently refurbished 4 star apartment hotel is located right in the middle of Sydney CBD, near Wynyard station providing easy access back to the airport for your overnight city stay. 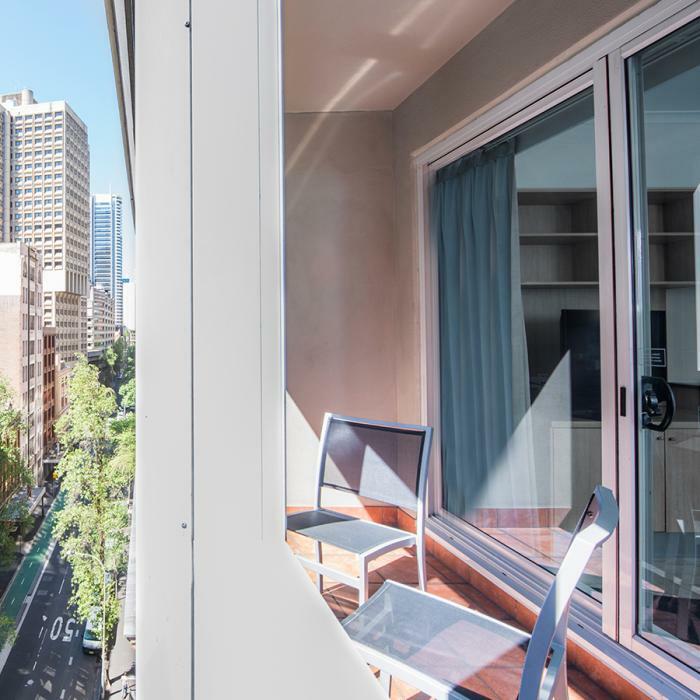 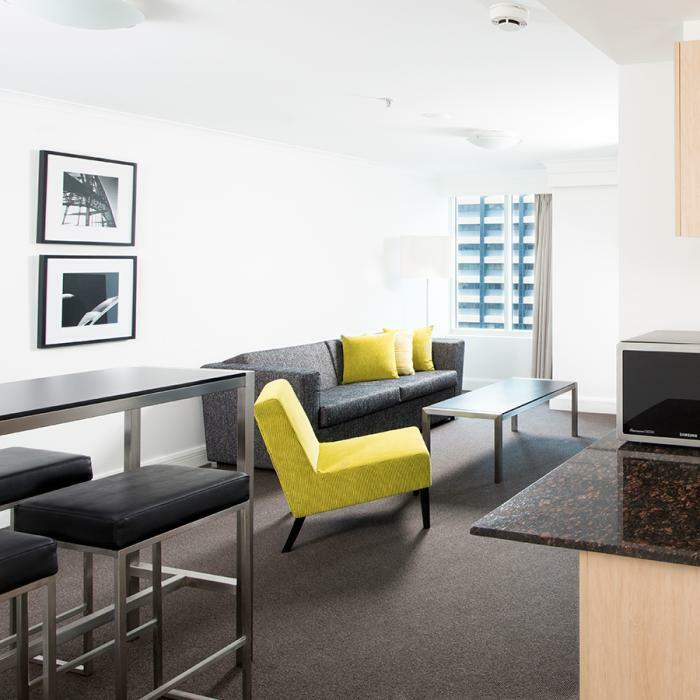 Mantra on Kent offers a range of studio and one bedroom apartments, most with balcony and some with views of Darling Harbour. 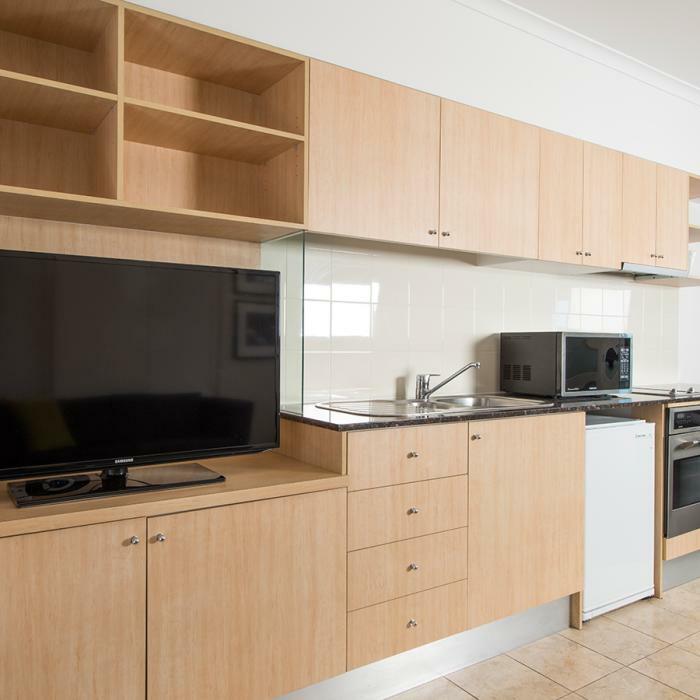 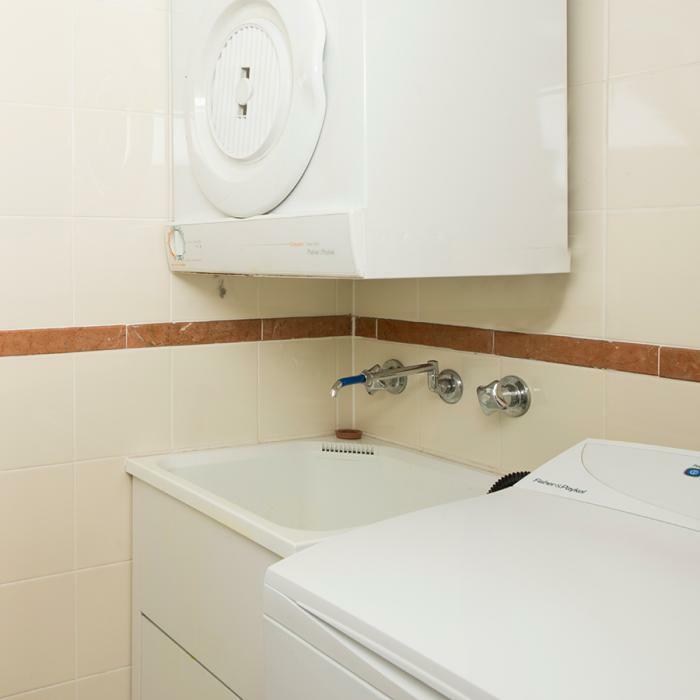 Rooms are fully self contained with full kitchen facilities and internal laundries. 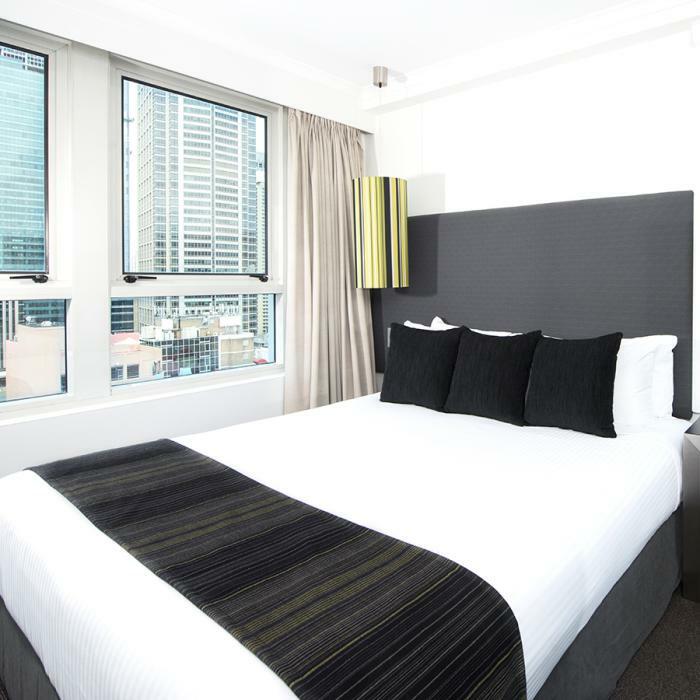 This hotel is popular with business executives and holiday makers alike, given its ideal Sydney CBD location. 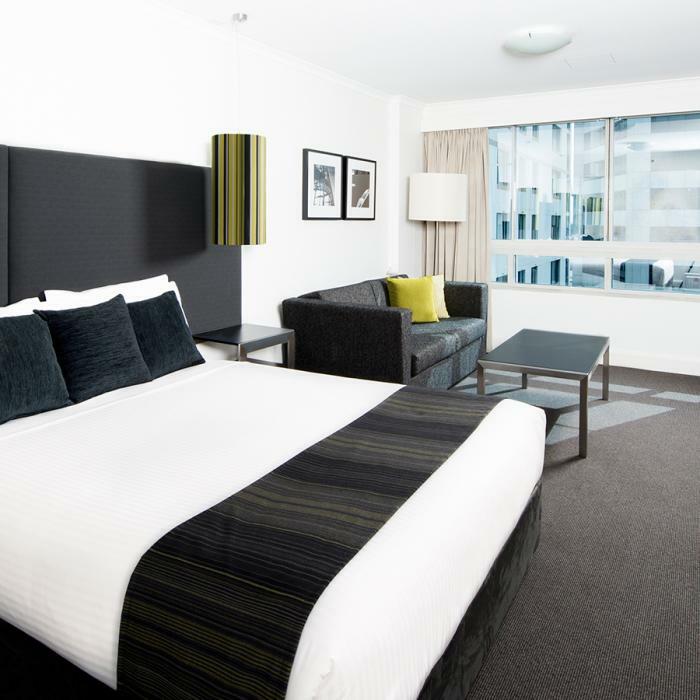 Facilities at the hotel include refreshed modern décor, restaurant onsite, 24 hour reception and WiFi throughout the hotel. 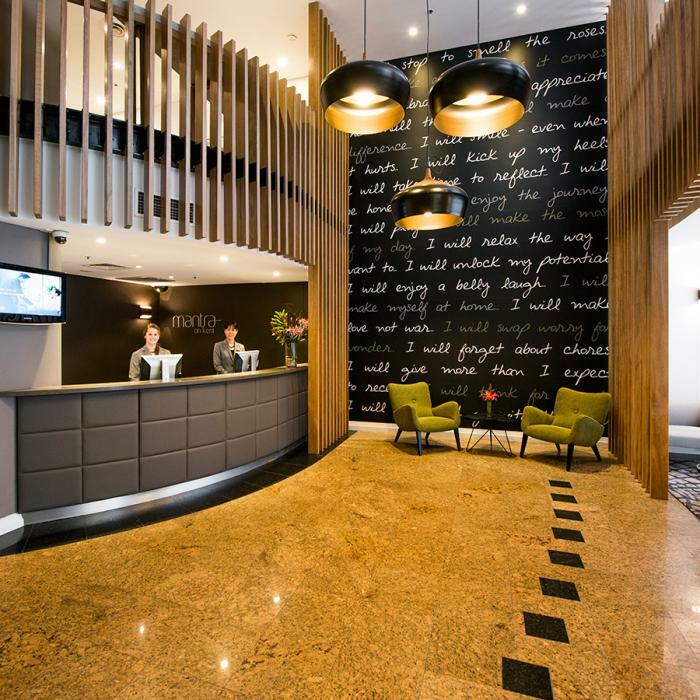 Directions to parking: Parking is available at Wilson Parking Station situated next door to the Hotel. 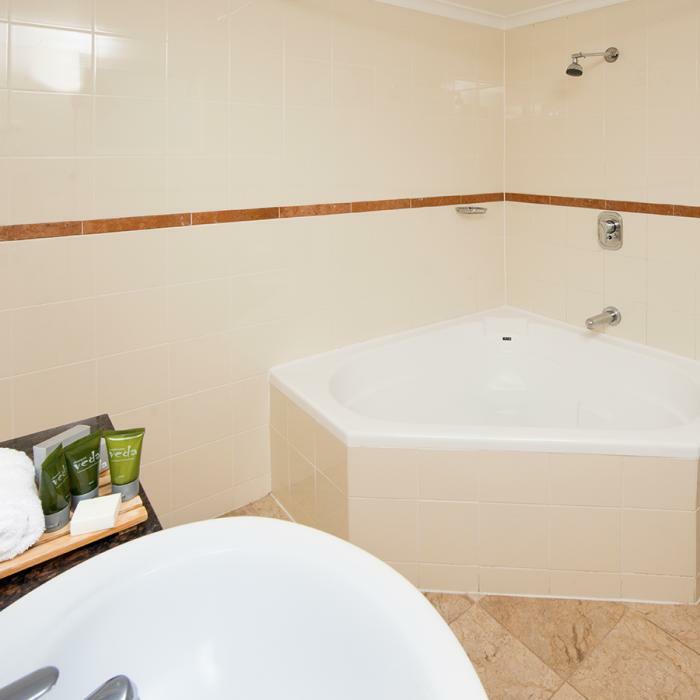 Discounted hotel guest rate is A$36 single entry/exit. 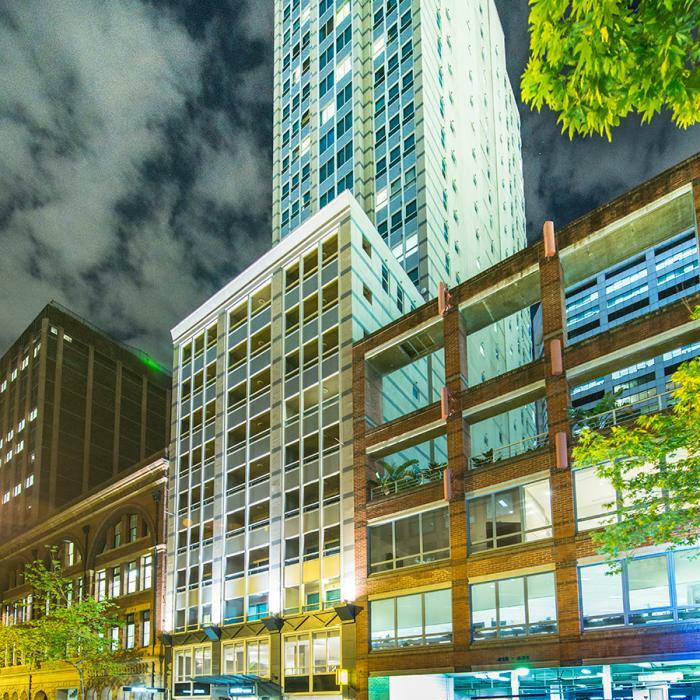 Mantra on Kent is 10 out of 10 based on 1 customer votes & Yelp reviews.